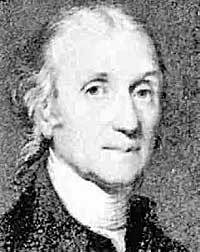 Henry Cavendish, one of the world's greatest scientists, was born in Nice on October 10th 1731, eldest son of Lord Charles Cavendish and grandson of the 2nd Duke of Devonshire. Cavendish studied at Cambridge University and became a fellow of the Royal Society at the age of 29. Six years later in 1766 he presented his first paper to the society on Factitious Airs. In it he demonstated the existence of 'infammable air' better known today as hydrogen. Cavendish inherited a fortune at the age of 40 and was driven by an insatiable thirst for knowledge to the exclusion of almost anything else. His eccentic ways included communication with his housekeeper with notes and having female servants kept out of his sight. His experiments during the 1780's led him to discover the composition of water, proving it was not an element but a compound. At almost the age of 70 he achieved his most famous feat, accurately calculating the mass of the earth. Many of his findings only came to light after his death in 1810, leaving a large fortune. His remains were bought to Derby for internment in the family vault in All Saint's church. The scientist's great library was given to the Bachelor Duke of Devonshire who installed the collection at Chatsworth House, where it remains to this day. Among it's treasures are some of the instruments once used by the shy eccentric genius who had dedicated his life to science.